For the past two and a half months we've been so fortunate to do field testing of the new prototype La Marzocco espresso machine Strada MP. 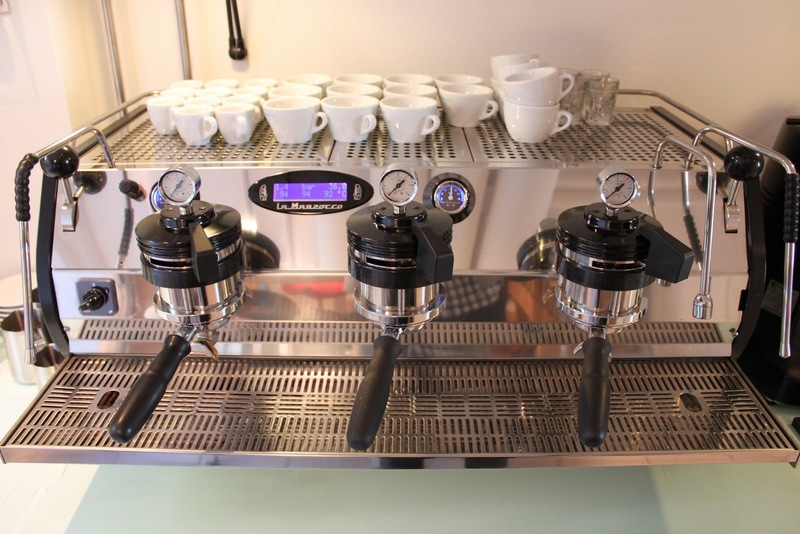 Many have asked us "Do we really need another variable when it comes to espresso??" and I'm sort of inclined to agree. If you are still struggling to get your shots consistent than perhaps this isn't the machine for you. But if you are looking to get the last few percentages out of that particular single mill Kenyan, then I think you'd want to consider the Strada. And boy can it make some tasty shots! But I don't want to make this post all about pressure profiling. I actually think that even if this machine came without it, I'd still buy it! We absolutely love the openness of the machine, especially the exposed groups. It’s a machine that really puts the barista back in touch with the espresso and makes you feel so much more engaged in the whole process. 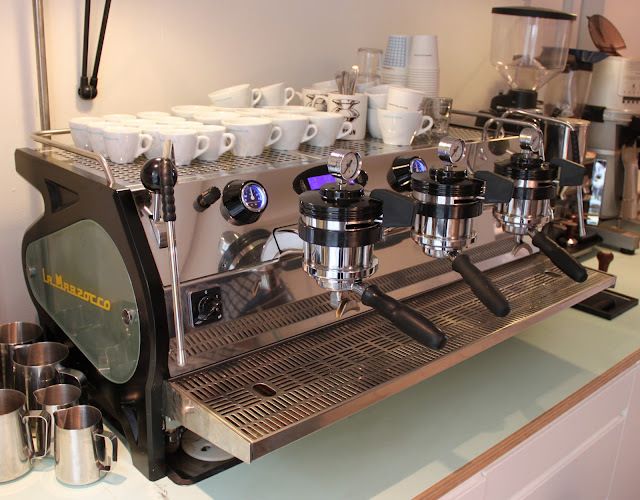 There's a lot of nice details on this machine; like the hot water mixing valve being accessible from the front so you can adjust the temperature of the hot water very easily. And the botton for the hot water is cool just on it's own. It’s also a really cool feature that the pressure gauges on top of the group heads move up when you increase the pressure. The large drip tray is really nice. It’s super easy to clean with a cloth and you have great working space. The drip tray can be put in two different heights, depending on how tall cups or glasses you use in your shop. I still dream of a system that's adjustable on-the-go with a small hydraulic lever, but I digress..
Each group has it's own boiler, so you can adjust them separatly to 0,1 degree Celcius accuracy. The water entering the boiler has already passed through a heat exchanger, so it's basically a the same accuracy as most older HX-type espresso machines, before the PID takes over. This way you can have one or two groups set for your espressoblend and leave one optimized for a single origin if you want. The pressure is adjusted on the paddle on top of each group. The feel is really nice, although the adjustment is a bit tricky. Very little movement can be a big change in pressure. Sort of like adjusting the grind size on a Mazzer... But once you get the hang of it, it becomes really really fun and engages you in the brewing process more than any other espresso machine I've tried. Honestly I think for a coffee shop the EP version makes more sense, as you can then save your profiles and repeat them by the push of a button. And you can transfer them into a computer software where you can manipulate them further. We felt that on busy days, or when there is just one barista working it was impossible to do pressure profiling. You just can't be moving the paddle accurately while you are steaming milk for a cappuccino. We've played around with different profiles, mostly for our espressoblend. In the beginning we settled on four basic profiles, that were quite different to see what the results were. I have to admit it's been very difficult to gather exact results. It seemed to vary from time to time, what we preferred. We quickly found out that different profiles requires different doses, and thus different grind adjustments to perform well. And then you need to be extremely consistent to get the profile right again and again. Now it's time for La Marzocco to get the machine back. First it will be going to an Out of the box event and later back to the factory so they can see what wear and tear we've put on the machine. 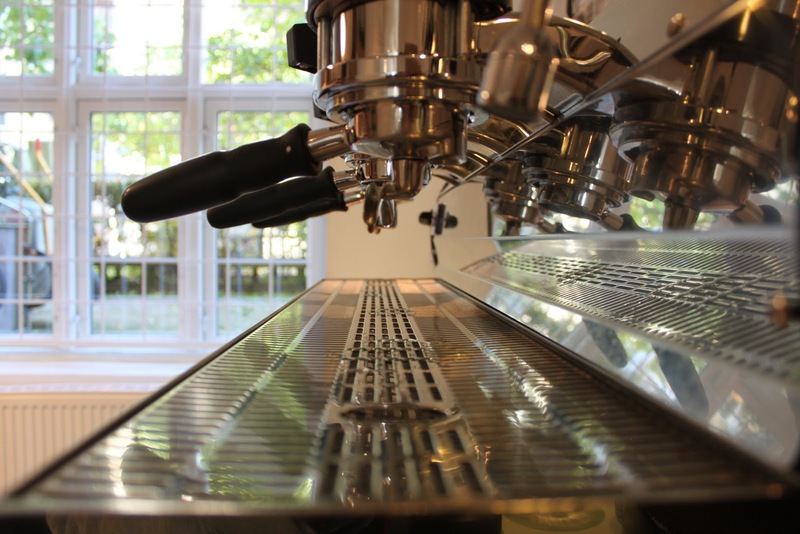 As with any prototype there has been a few "children diseases" and we've sent the team at La Marzocco a 4 page summary of our experiences with the machine. 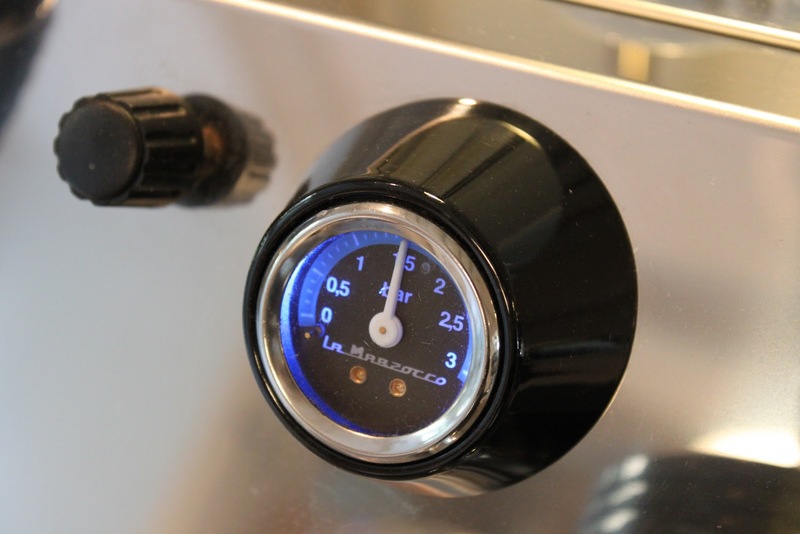 We still don't know when the machine will be available for purchase, but contact your local La Marzocco distributor if you want to know more. 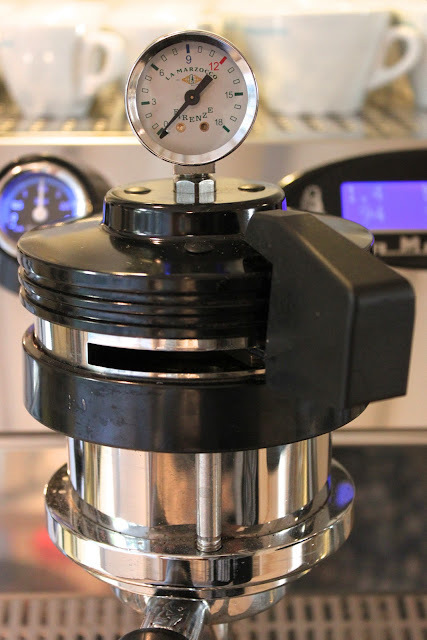 This afternoon we'll be tasting the last few shots from some different pressure profiles and then we'll just have to wait till La Marzocco are ready to roll them off the production line. We've selected you as our Foodista Drink Blog of the Day for November 28th! This blog post will be featured on the Foodista homepage for 24 hours. Besides posting your link on the homepage, we will also post a couple shout outs on our Twitter and Facebook pages. Since you are now a part of the Foodista Featured Drink Blogger of The Day Community, we've created a special badge for you to display proudly on your blog sidebar. I couldn't find your email on your blog to send you the access code for the special badge, but I want to make sure you get it if you are interested. Please send me an email and I'll send it right away.